The album which was recently launched has 14 songs laced on traditional and contemporary rhythms. 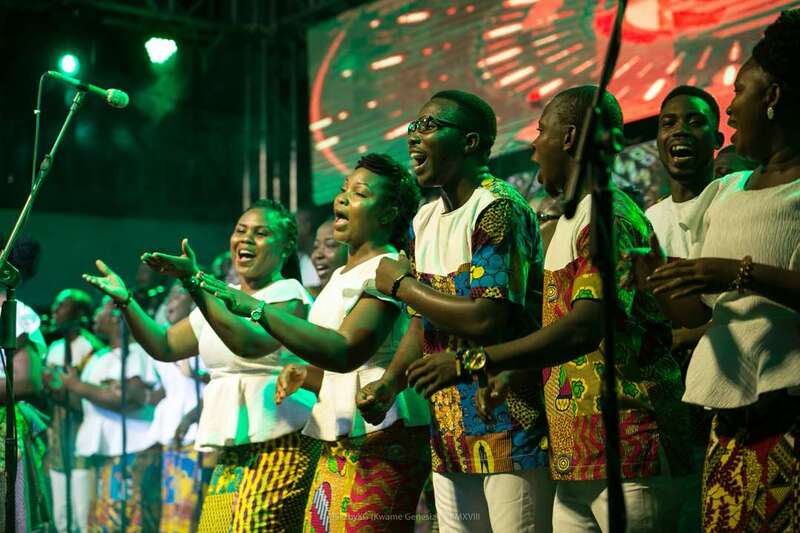 Two songs on the album that really stand out are the ‘Agbadza Gospel Medley’ and ‘Vovome’ which featured the 2017 Vodafone Ghana Music Awards Artiste of the year, Joe Mettle. The Agbadza Medley with its beautiful and skillful and traditional presentation is very endearing. The energy of the song leaders, members of the choir and the authentic sound generated from modern instruments is simply phenomenal. 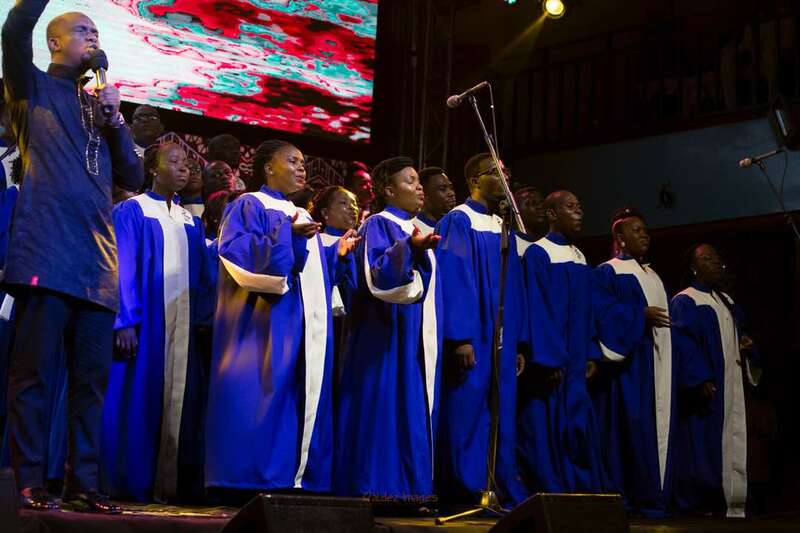 Renowned Ghanaian Diplomat Mr. Ben Dotsei Malor who was marveled by the quality of production of the album took to social media to laud the choir. Mr. Kofi Ayivor of the Osibisa fame couldn’t agree more. He also wrote: “The good instrumentations behind these songs are worth mentioning”. Joe Mettle’s fluency in the Ewe language on ‘Vovome’ has left many people wondering if he is a native of the Volta Region. His rich voice and real flair for praise songs gives listeners an opportunity to dance their hearts out in gratitude. Other songs like ‘Selah’ which is a blend of psalms and chant is soothing and sure will put the listener in the mood to worship. ‘Elolo’ led by the anointed Minister Eugene Zuta, ‘Fix It’ by Calvis Hammond and Elliot Lamptey, Mawu Gbagbe among others. According to the choir, the lyrics of the album are a prophetic declaration aptly arranged to create a personalized atmosphere for listeners. The album is available at all branches of Challenge Bookshops, Global Evangelical Churches and some online stores such as iTunes, Spotify, Googleplay, Amazon and Deezer.